Go to original pattern for design DROPS Children 23-5. 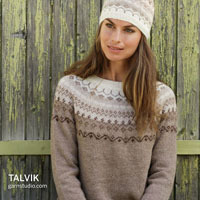 Knitted hat with pompom and scarf with diagonal rib pattern in DROPS Merino Extra Fine. Size children 3 to 12 years. 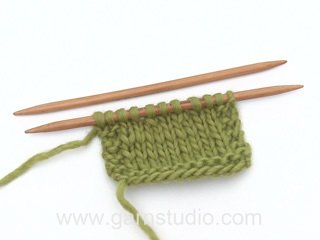 DROPS STRAIGHT NEEDLES SIZE 4 mm - or size needed to get 21 sts x 28 rows in stocking st = 10 x 10 cm. DROPS STRAIGHT NEEDLES SIZE 3 mm – for rib. Cast on 88-96-104 sts on circular needle size 3 mm with Merino Extra Fine. Work rib = K 2/P 2 for 4 cm. 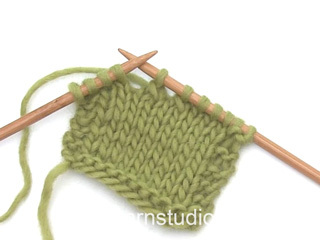 Switch to circular needle size 4 mm (switch to double pointed needles when needed). Now work 1 round where the rib is displaced 1 st to the left as follows: Over 2 K, 2 P work 1 P, 2 K, 1 P. * Work 3 rounds with K over K and P over P, displace the rib 1 st to the left on next round (= 4 rounds) *, repeat from *-* until piece measures 27-30-33 cm. Now work all P-sts tog 2 by 2 = 66-72-78 sts. Work 2 rounds with K over K and P over P, then work all K-sts tog 2 by 2 = 44-48-52 sts. Work 2 rounds with K over K and P over P, then K all sts tog 2 by 2 = 22-24-26 sts. Cut the thread and pull it through the remaining sts, tighten tog and fasten. The hat measures approx. 30-33-36 cm vertically. 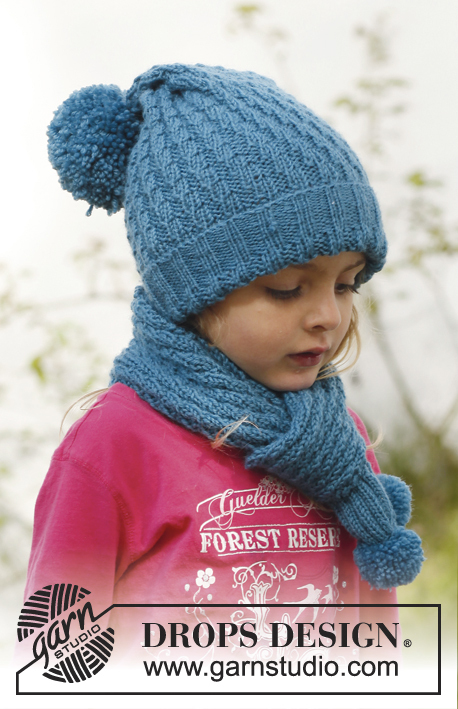 Make a pompom with approx 7-8 cm in diameter and fasten it at the tip of the hat. 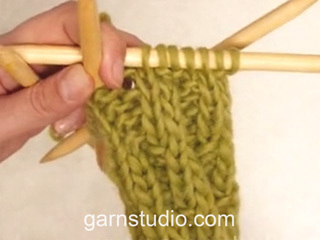 Cast on 26-30-38 sts on needle size 3 mm with Merino Extra Fine. Work rib = K 2/P 2 with 2 edge sts in each side which are worked K on all rows until finished measurements. When rib measures 4 cm, switch to needle size 4 mm. Now work 1 row where the rib is displaced 1 st to the left as follows: Over 2 K, 2 P work 1 P, 2 K, 1 P (edge sts are worked K on every row as before). * Work 3 rows with K over K and P over P, displace the rib 1 st to the left on next row (= 4 rows) *, repeat from *-* until scarf measures approx. 96-116-136 cm – adjust so that rib beg and ends with 2 K inside edge sts in each side (seen from RS). Switch back to needle size 3 mm and work 4 cm rib (= K 2/P 2) with 2 edge sts K in each side. Cast off with K over K and P over P.
Make 2 pompoms of approx. 4-5 cm in diameter. Baste a thread up and down through cast on edge on scarf, tighten tog and fasten. Sew one pompom to one end of scarf. Do the same on the other end of scarf.